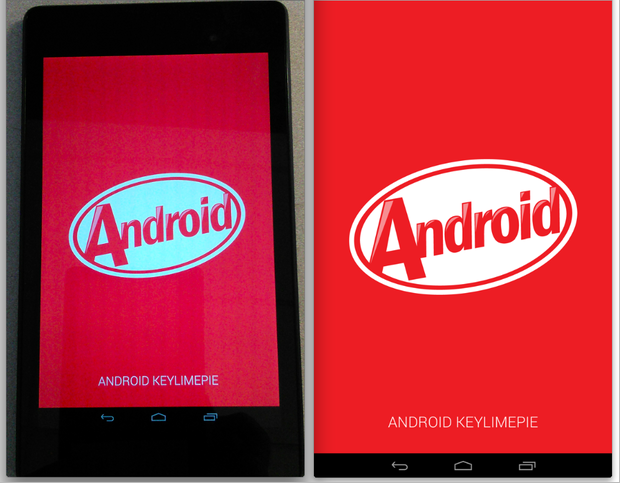 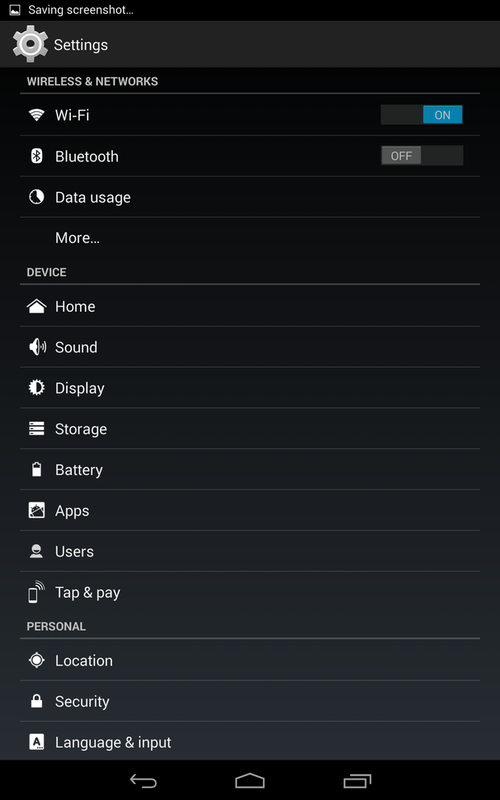 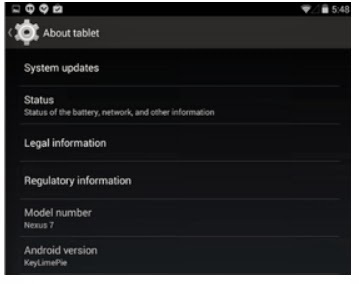 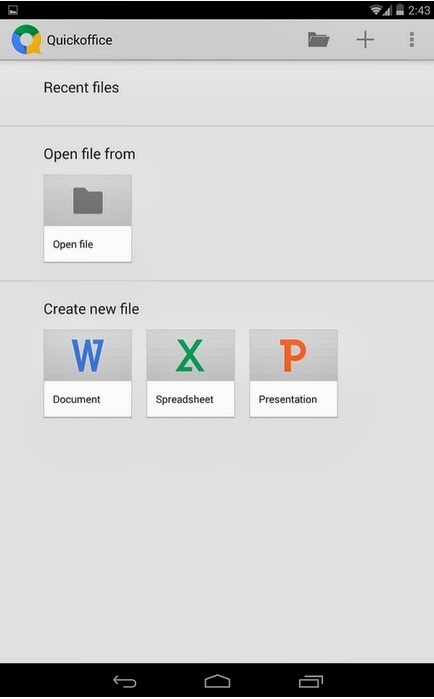 More screen shots of Android 4.4 KitKat has been leaked. 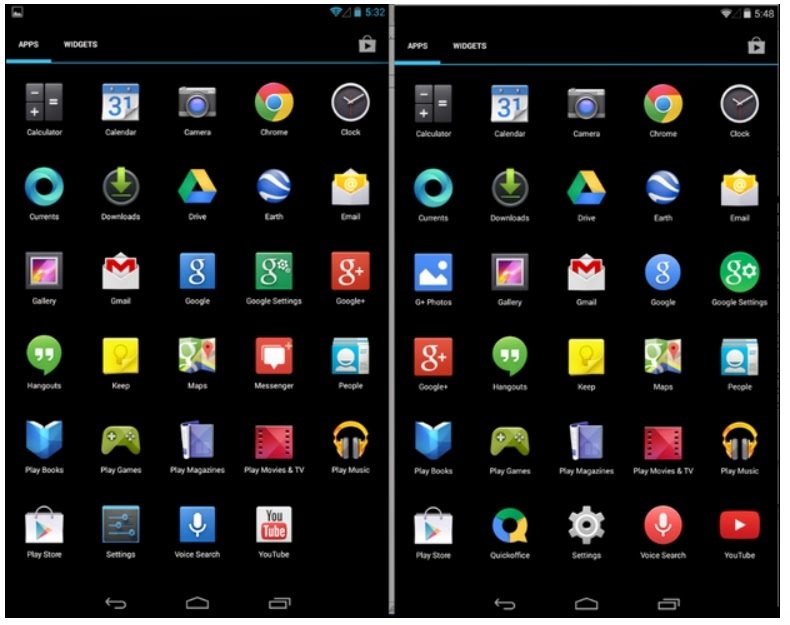 These screenshots come form ZDNet. 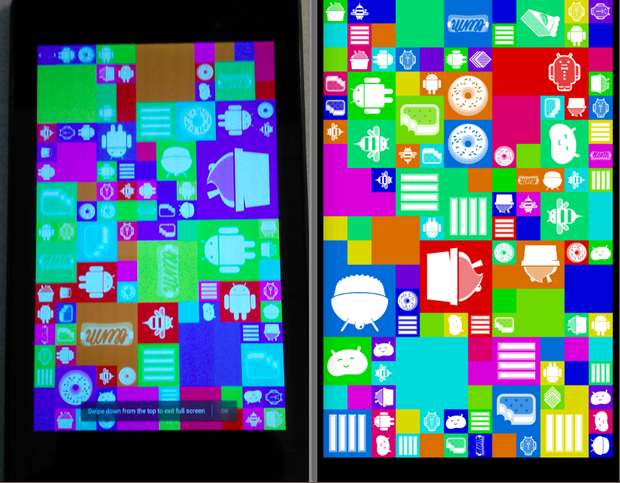 These leaked shots running on Nexus 7 2013. 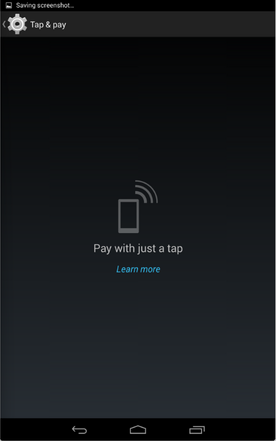 In Android 4.4 KitKat when you tap multiple times on Android version, its reveals the Ester egg below. 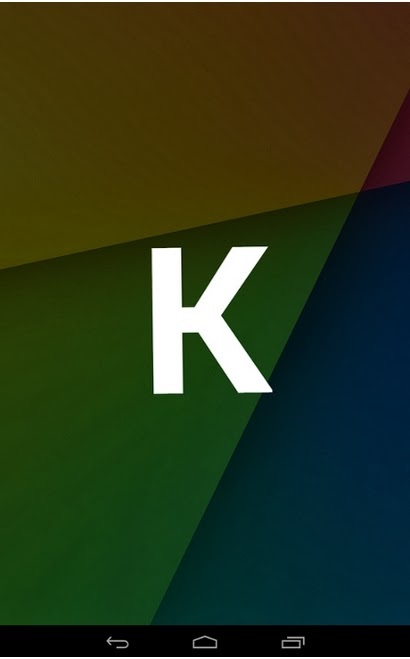 The KitKat logo shows up on backside of Android Logo with styling colour. 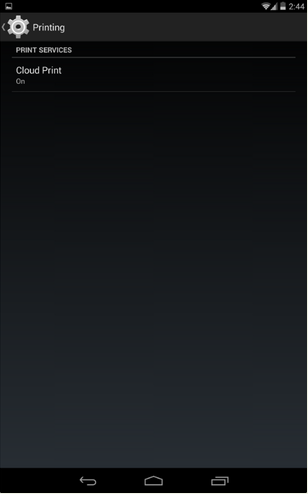 Also see previous leaked Screenshots, Running on Nexus 5.